Happy independence day to all Pakistanis. As a independence day gift, we are releasing high tech interest base research on electromagnetic pulse as a part of this blog. 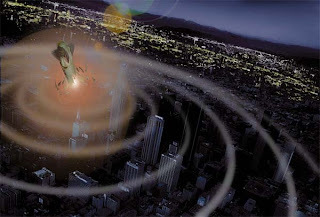 The case of a nuclear electromagnetic pulse differs from other kinds of electromagnetic pulse (EMP) in being a complex electromagnetic multi-pulse. The complex multi-pulse is usually described in terms of three components, and these three components have been defined as such by the international standards commission called the International Electrotechnical Commission (IEC). Ceramic capacitors range from low to high voltage but are vulnerable to aging (and change in crystal structure over time) and have to be reheated up to curie point to reverse the aging effect. Polymeric capacitors produce up to 60,000V but temperature stability is poor; inappropriate for radio frequency applications due to excessive dielectric heating. Glass Capacitors although have a high working temperature and are very stable but their capacitance is in picofarads. Ultra-capacitors have a maximum working voltage upto 24.4 V and hence need a large amount to series connections to build up an EMP device. 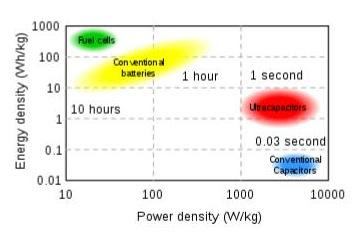 Class II ceramic capacitors provide bet material for the EMP effect to successfully occur over a voltage of ~ 50,000V. To further improve the dissipation rate electrical grade castor oil or similar high dielectric constant fluid can be used along with extended foil plates in combination with the ceramic capacitors to use their high voltage to generate EMP. Featured re-post. Original post at Astroaviator.com as my first blog post there.